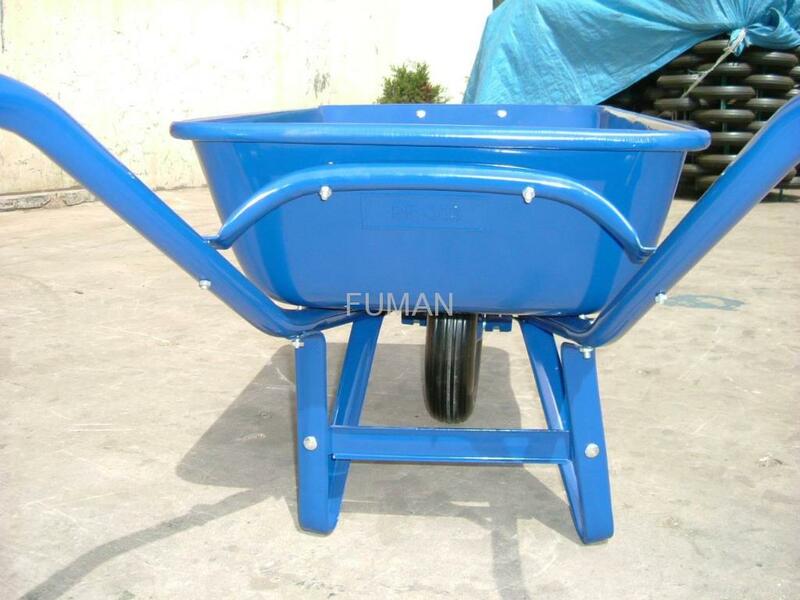 Features: Heavy duty wheel barrow with 5 cft.capacity for sand and 58 lit. 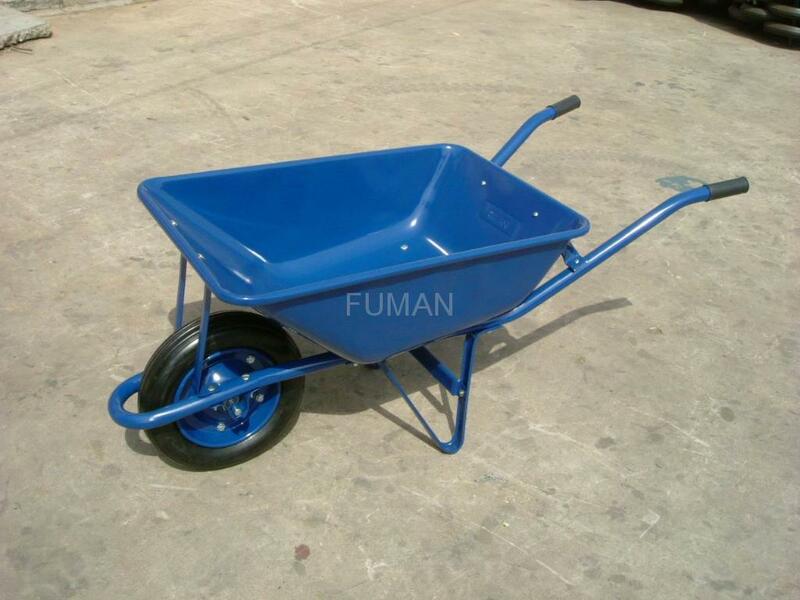 capacity for water, 13” x 3.00 – 8 solid tire with steel rim and ball bearings, 0.9 mm thick steel tray with blue paint coating, Cart Body Size:1340L x 530W x 560H mm, N.W. : 16.7 kgs. 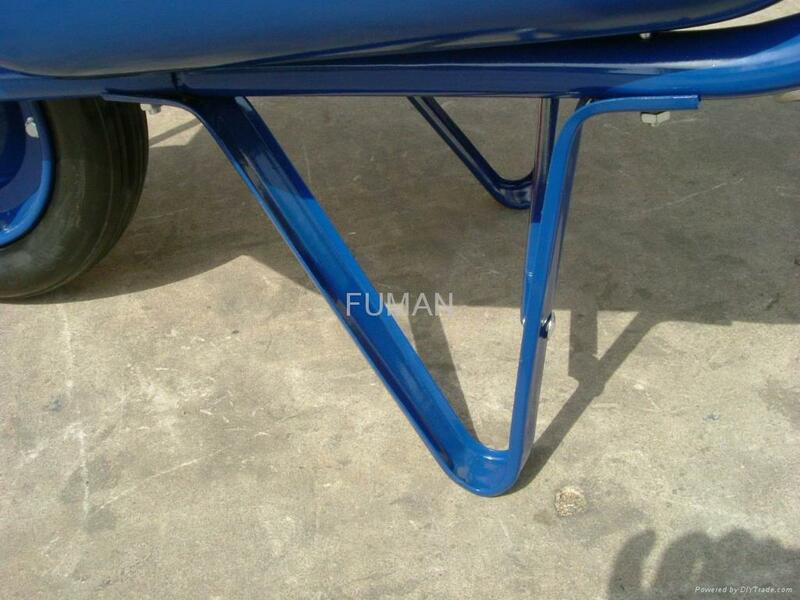 Loading capacity: 150 kgs. Packing and Loading: (1) 50 pieces into a steel pallet. Loading Quantity: 1,000 pieces per 20' Container.